Arc Flash shields are designed to provide protection against low-level energy arc flash hazards. Arc face shields, when worn with a sock hood (balaclava) provide protections for NFPA 70EHazard Risk Caregory 2(HRC2), up to 12 cal/cm². Face shields are tested according to ASTM F-2178-02a and ANSI-Z87.1-2003. 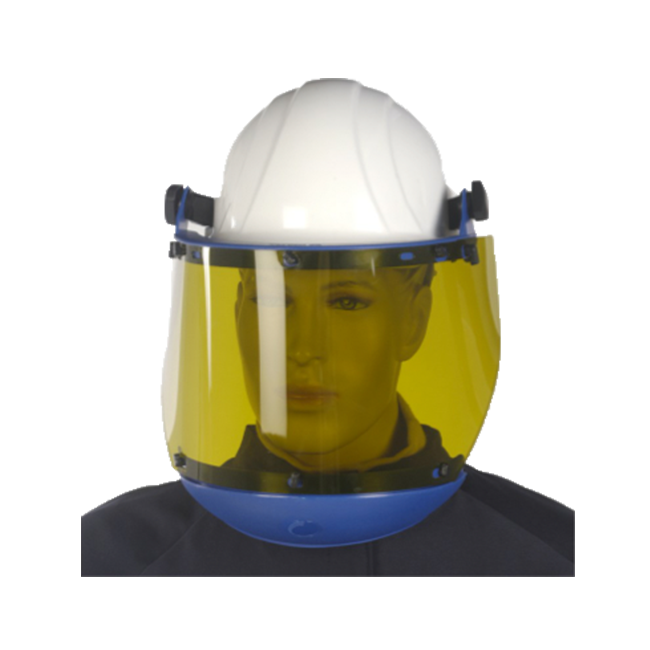 There are a variety of options for purchasing a face shield — the face shield itself, face shield with hard hat, face shield with ratcheting headgear or face shield with hard had adapters. We offer standard and deluxe style storage bags to protect your purchase.